On Tuesday, Russia’s Foreign Ministry said that Russia has drafted a roadmap on the settlement of the North Korean dispute, with China hailing Moscow's efforts. Russian expert in the Asian Studies Georgy Toloraya told Sputnik that Russian-Chinese efforts could have a greater effect than the sum of their individual effects. On Tuesday, Russian Deputy Foreign Minister Igor Morgulov told Sputnik that Moscow has drafted a roadmap for the denuclearization of North Korean and overall peace on the Korean Peninsula, including a phased plan to bring the parties toward a dialogue without any preconditions. Security guarantees should be provided to North Korea in order for it to abandon its nuclear program, Morgulov stated. "The issue is ensuring that all countries in the subregion feel equally safe, and in the case of North Korea these should be guarantees that would lead to Pyongyang's refusal from its missile and nuclear programs," the top diplomat said. He listed as first steps "manifestations of mutual restraint, not provoking each other, initiating negotiations on the general principles of relations such as non-aggression, rejection of the use and threat of force." Military provocations aggravate tensions on the Korean Peninsula and could boil over into armed conflict with the potential use of nuclear weapons, Morgulov stated. "We are convinced that military provocations, saber rattling, militant statements, wherever they emanate from, only exacerbate the situation, bringing it to a critical point," Morgulov said. The Deputy Foreign Minister added that Russia is coordinating its road map on the settlement of the North Korean issue with China. "[Moscow acts] in coordination with Chinese partners who are concerned about what is happening on the Korean Peninsula," Morgulov said. He highlighted Beijing's "double freeze" proposal to simultaneously halt North Korean nuclear missile tests and US-South Korean military drills, as well as "parallel advancement" toward denuclearization and creating a regional system of peace and security. On Wednesday, China welcomed Russia's roadmap to resolve the nuclear issue of the Korean Peninsula. "We welcome any initiatives and actions that will contribute to denuclearization as well as peace and stability on the Korean Peninsula. We also remain open to Russia’s proposal," Chinese Foreign Ministry Spokesperson Lu Kang told a press briefing. The initiative of mutual suspension [of North Korea’s nuclear and missile programs and the US and South Korean military exercises] put forward by China is aimed at allaying the parties’ fears and resuming the six-party talks as soon as possible," the diplomat added. "More and more countries have expressed understanding and support for the initiative, which coincides with Russia’s proposal. We maintain intense contacts on the roadmap," he said. Sputnik discussed Russia's suggestions and possible cooperation with Georgy Toloraya, Director of the Asian Strategy Center at the Russian Academy of Sciences’ Institute of Economics. Russia has been voicing this approach towards the settlement of the nuclear issue on the Korean Peninsula since 2003 he told Sputnik. Back then it suggested a packaged settlement of the problems in North-Eastern Asia: security guarantees to North Korea in exchange for its refusal to develop nuclear weapons. Since then, the expert said, the situation has greatly deteriorated as the US and South Korea did not want to follow this route. Russia's current roadmap provides more distinct ways of easing tensions in the region. "It is very important that this roadmap was drafted and revealed after close consultations with China. This shows that our two countries are acting together in the settlement of the North Korean issue. Russia, however, could be in a more advantageous position as it is able to play the role of a neutral mediator," the expert said. He further explained that Russia does not have any encounters with the US in the Asian region, while for China, the Korean issue is closely interconnected with other encounters with the US in the region, such as mutual trade and the South China Sea dispute. China and the US, he said, are engaged in a complicated exchange of mutual concessions. Russia, Toloraya explained, could act from a relatively independent position and have the most trust from North Korea among all the four countries (Russia, China, the US, South Korea). Hence Russia is able to play a constructive role not only in suggesting but also in implementing this initiative. The expert however said that North Korea and the US remain key players in the settlement of the regional crisis. And if Russia can talk Pyongyang into the negotiations, or at least into making the first steps towards freezing its nuclear and missile programs, it will still be unlikely to get the US to buy into the proposal. However, while there is a small chance, Moscow should use it. "Maybe when and if Vladimir Putin meets with Donald Trump in Hamburg (during the G20 Summit), and if the two leaders discuss the North Korean issue, he will be able to persuade Trump to become a peacemaker and start a long process of the settlement of the North Korean issue. And Trump will make up his mind for the direct talks with North Korea," he told Sputnik. The expert however doubted that the ruling class and the political establishment in the US will allow the President to do that even if he decides to do so. Russia’s community of experts, he said, hopes that Russia's readiness to discuss its roadmap with the US, North and South Korea and Japan can give a head start to negotiations on the North Korean issue and on the settlement of the relations between North and South Koreas. The UN is also able to play a certain role here. The expert noted that a conference on the situation on the Korean Peninsula which could be convened by the UN Secretary General could become an authoritative ground for discussions of a peaceful agreement between the two Koreas and stop an actual state of war on the Peninsula. The fact that Russia drafted its roadmap in close coordination with China and their joint efforts can create a so-called synergy effect, when the joint efforts reach an effect greater than the sum of their individual effects. Da Zhigang, director of the Institute of Northeast Asia under the Heilongjiang Provincial Academy of Social Sciences, told Sputnik that Russia's roadmap is a new stimulus for the settlement of the North Korean issue. "Russia has been an important member of the six-party talks on the North Korean Peninsula and traditionally poses as a large power able to have an important influence on North Korea. 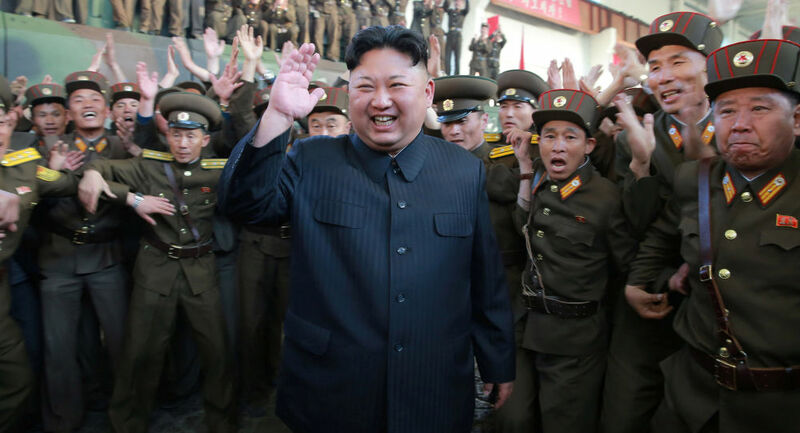 Russia's current roadmap has a positive meaning to the complex peaceful settlement of the North Korean issue, and could facilitate the soonest return of the North-Eastern Asia back to the stable and peaceful development," the expert told Sputnik. He noted that Russia and China have already set up the relationship of a comprehensive strategic cooperation and partnership. It may contribute to the settlement of the North Korean issue, along with Chinese-American efforts, efforts of US and other parties who have their own interests in the region. Russia's roadmap is aimed at setting conditions that would ease North Korea towards the negotiating table, he said, therefore promoting peace on the Peninsula, the expert concluded.